Excerpt from Wooden: A Lifetime of Observations and Reflections On and Off the Court by John Wooden and Steve Jamison. John Wooden is a “philosopher-coach” in the truest sense: a man whose beliefs, teachings, and wisdom go far beyond sports, and ultimately address how to bring out the very best in yourself and others in all areas of life. He is a master teacher who understands motivation, organization, and psychology. Coach Wooden is able to successfully share his wisdom because he has a gift for expressing his philosophy directly and simply, in a manner accessible and applicable to everyone. Coach Wooden’s own life is the embodiment of enduring American values. His priorities are, and always have been, correct – family, faith, and friends – and he never veered from them in spite of professional success and celebrity of the highest magnitude. So how does John Wooden bring out the best in people? Keep courtesy and consideration for others foremost in your mind, at home and away. Try to have fun without trying to be funny. While you can’t control what happens to you, you can control how you react. Make good manners an automatic reaction. Seek individual opportunities to offer a genuine compliment. Remember that sincerity, optimism, and enthusiasm are more welcome than sarcasm, pessimism, and laziness. Laugh with others, never at them. 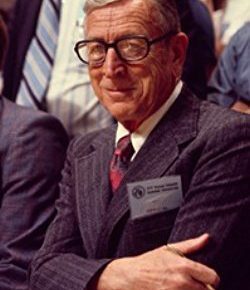 John Wooden (1910-2010) guided the UCLA Bruins to ten NCAA basketball championships over a 12-year period including four perfect seasons and an 88-game winning streak. He was named ESPN’s “Greatest Coach of the 20th Century” and voted “#1 Coach of All Time” by The Sporting News. In 2003 John Wooden was awarded the Presidential Medal of Freedom. Steve Jamison is America’s foremost author and authority on the life and philosophy of John Wooden. Mr. Jamison is a consultant to the UCLA Anderson School of Business’ John Wooden Global Leadership Program. 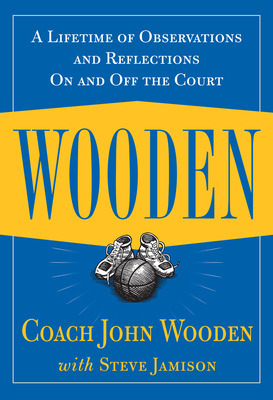 He has collaborated with Coach Wooden on an award-winning PBS presentation as well as several books including his final book The Wisdom of Wooden: My Century On and Off the Court.